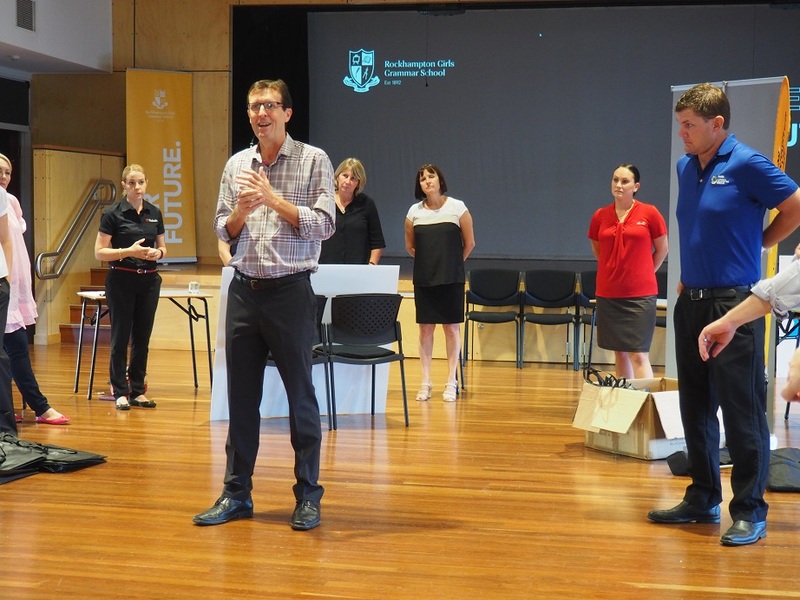 On Thursday 25 February 2016, I had the privilege of visiting the Rockhampton Girls Grammar School with other business and community leaders to engage with some of the Year 12 students. The program is called Communication 2 Careers (C2C), and is an initiative by Rockhampton Innovation Network Group (RING). The purpose of the C2C program is to give students an opportunity to improve their communication skills, similar to that in an interview scenario. It’s also a good opportunity for the students to speak to business people who work in an industry they’re interested in. I have no doubt some of these girls are the future leaders of tomorrow but more importantly the pioneers in their chosen industry, playing a key role in their industries transitioning from how we know it today, to what it’s going to be like in the future. These young women can already now see the impact technology is having in their lives and their future careers. They all agreed that connectivity such as the NBN would play a part in the way they practise in their chosen career. Whether it be in Agriculture, Aged Care, Veterinary Services, Education or a Surgeon. Connectivity is vital utility, and as it gets faster, it makes the world smaller and much more accessible. I may have forgotten some of the conversations from this particular C2C session, but what I just can’t forget about these young ladies from Rockhampton Girls Grammar School, was their interest in Agriculture. Now I’m not talking about dressage and things you might associate with a princess, but they care about water storage, sustainable energy systems, environmental preservation and modern farming practises such as drones, robotics and SCARTA systems. They realise the current generation of farmers, their mums and dads, are using outdated farming practises. There’s no doubt there’s an influence from family, with some coming from a farming background, but to hear firsthand that these young people actually care about essential things in life such as education, food and water, is certainly refreshing and welcoming from the conversations I had 5 years ago where everyone just wanted to get into Mining and chase the big bucks. What does remain of a concern to me is the high percentage of these students that will leave Rockhampton after their year 12 studies and move to places like Melbourne & the Sunshine Coast. Not staying in Rockhampton is a common theme to a dreaded question I’m always fearful of asking. I hope one day in the future, more school leavers consider Rockhampton as part of their immediate and long term future. A huge congratulation to RING for hosting such an important event and the Rockhampton Girls Grammar School for embracing it.